Welcome to the third annual Lisa e Krysa awards. We're here to honor excellence in Mulder/Krycek fanfiction. We encourage you to participate in the awards by nominating and voting for stories. Also, please visit the award archives and take a look at the stories that received the award last year. The award ceremony should be up sometime Saturday. Hopefully. Well, the site has been down for the last week, but we're back! When the site went down, the last minute voters unfortunately lost their chance to vote. Because of this, I've decided to extend the voting period. Voting will now close at midnight on Wednesday, March 13th. That will push the award ceremony back a week. It will now take place on Saturday, March 16th. I'm sorry for the changes, but the server problems were beyond my control. If you haven't voted yet, think of this as a second chance. Use it! I know, I know, I'm late. But I figure, technically it's still Februrary 2nd somewhere in the world, right? Check out the finalists here. Please try to read them all before voting. I created these awards not only to honor great authors, but to bring new authors and little known stories to a bigger audience. You may want to jump ahead and vote for the favorite you've already read, but it's not fair to the other stories. And you're not being fair to yourself, because you might miss reading a story that could become your new favorite. Nominations are now closed. Actually, they were officially closed two days ago, but technical difficulties prevented me from updating the site with that info. I will now take a few days to contact the finalists and organize the ballot and story information. Please come back on February 2nd to find out who the finalists are! Please note: I will try to be prompt with my next update, but things beyond my control may keep me from being as efficient as I was in the previous awards. Please bear with me through any delays. First of all, happy New Year! Good wishes and good cheer to all! 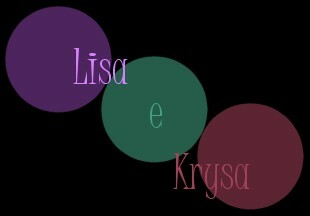 Nominations for Lisa e Krysa 2001 are officially open. Please read the the category descriptions and the rules before voting. There is also a small preface to the nomination form, which outlines the structure of the nominations and stresses important rules, etc. I really don't mean to nag about these things, but the awards run smoother and turn out better when everyone follows the rules and regulations. After you've done your homework, head on over to the Nomination Form. And don't wait until voting time to voice your opinion. Nominating your favorite stories is as important as voting for them! Don't let anything hold you back from nominating, and don't wait until the last minute. Apologies for starting things off on the wrong foot with the delay. But now everything is up and running, and I'm looking forward to a great LeK. I'd like to welcome everyone back. There haven't been too many changes from last year, but there is a new catagory to check out. If you're new to the awards, please explore, read the catagory descriptions and the rules, and prepare your nominations. I'd like to state that this year, more than ever, I need volunteers to help with the awards. I've gone from full-time student to full time worker, and I just don't have the time I once had. Please check out the volunteer section, and see if there's anything you feel comfortable doing. The success of this year's awards may depend on how much help I can muster up. Extra special hugs and thanks to the Assistant Organizers: Ursula, Balthazar, Kat, Logan, and Boltonia. I kiss the feet of the hostest with the mostest, Alice ttlg, who lets us live here rent free.